Reducing baseball squad sizes from 24 to 22 is being considered as a compromise to enable eight rather than six teams to feature at the Tokyo 2020 Olympics, insidethegames has been told. The subject was the agenda at an Executive Board meeting today in which the sport received a glowing endorsement from C K Wu, the IOC Executive Board member acting as President Thomas Bach’s official representative here. A joint bid from men’s baseball and women’s softball was among five new sports proposed by Japanese organisers in September, as well as competitions in karate, skateboarding, sport climbing and surfing. Further deliberations are due to be made by the IOC Programme Commission before a final decision by the IOC Executive Board, which would be rubber-stamped by the membership at large. The World Baseball Softball Confederation (WBSC) had applied for two eight-team formats, but only six-teams in both baseball and softball were proposed by Tokyo 2020 in an attempt to avoid exceeding the total athlete limit of 500 for new events. Squads of 24 players for baseball and 15 for softball were recommended, meaning a total of 234 athletes would compete across the two disciplines. A total of 80 athletes have been proposed for karate and skateboarding, as well as 40 for sport climbing and surfing to result in a total of 474. 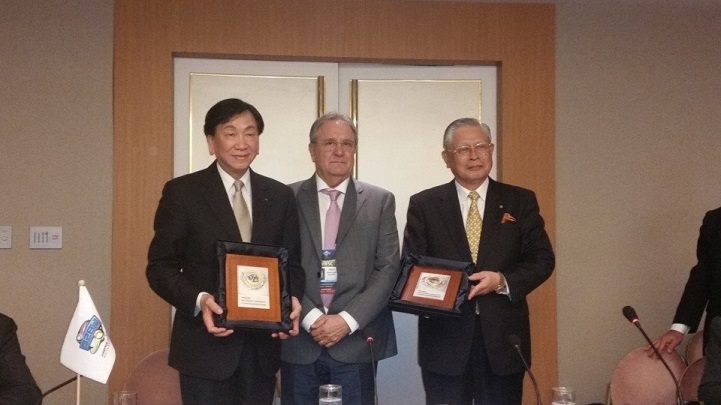 The WBSC are prepared to accept this if it is the only way to ensure a return to the Games for the first time since Beijing 2008, although officials appear confident in their chances of lobbying for an increase. Tokyo’s proposal is certainly not ideal for either baseball or softball due to the logistical difficulty of a six-team competition as well as the likelihood some of the world’s best teams would be unable to participate due to caps on the numbers of Asian and Pan-American teams present. There appears no possibility of a reduction in softball, where 15-team rosters are the absolute limit, but a decrease in baseball squad sizes by a further two is being considered. With the initial proposal of 24 already a reduction on the usual squad-size of 28, however, the potential compromise would risk squads being stretched to too great a degree, particularly in key roles such as pitcher. The two sports are seen as the number one choice by Tokyo 2020 organisers, where action would be expected to take place in the Tokyo Dome stadium in which Japan were agonisingly beaten 4-3 by South Korea last night in the semi-finals of the WBSC Premier12 having led 3-0 after eight innings. Wu, the IOC member from baseball-mad Taiwan who also leads the International Boxing Association, was full of praise for the credentials of the body. He used the example of Japan's collapse to warn against any complacency, though. 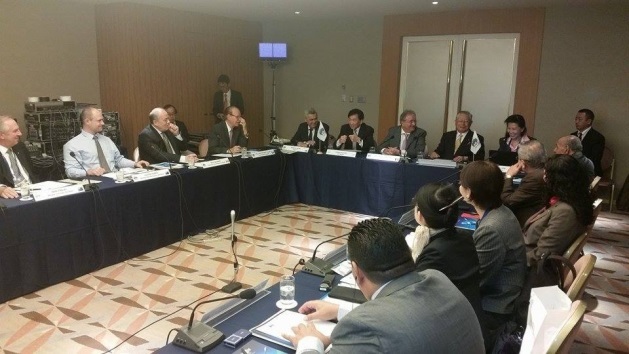 "Baseball and softball is a priority for the IOC," he said at an address to open the meeting. "Personally, I am in favour and I wish every success. "But last night showed you can never afford to relax and think the job is complete." Wu was one of two IOC Executive Board members present, along with Guatemala's Willi Kaltschmitt Lujan, sworn in today as a vice-president representing baseball. He will be expected to play a key linking role between the WBSC and the IOC, insidethegames has been told, effectively replacing Cuba's Reynaldo González López after his death in July. Panama's Melitón Sanchez Rivas also remains a vice-president representing softball. He graduated from IOC member to IOC honorary member status at the beginning of this year.